Fall River, Mass. – Saint Anne’s Hospital is pleased to welcome thoracic surgeon Laurie B. Reeder, MD, FACS, to the hospital’s medical staff. 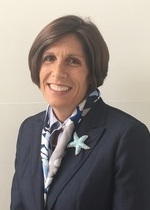 A graduate of Tufts University School of Medicine, Boston, Dr. Reeder completed her residency in general surgery at the University of Chicago, including research in the Thoracic Surgery Laboratory, and a fellowship in cardiothoracic surgery at the University of Washington Hospital in Seattle, WA. Board certified in general surgery and thoracic surgery, Dr. Reeder has served as a clinical assistant professor of surgery at Johns Hopkins in Baltimore, MD, and currently is an instructor at Brown University, Providence, RI. She previously served as senior staff surgeon in the Division of Cardiac and Thoracic Surgery at Henry Ford Hospital, Detroit, MI; faculty surgeon in the Department of Surgery/Division of Thoracic Surgery at Lifebridge Health in Baltimore, MD; and thoracic surgeon at Kent County Hospital in Warwick, RI. During her practice in Rhode Island, Dr. Reeder was named one of the state’s “Top Docs” by Rhode Island Monthly magazine. The author or co-author of numerous professional journal articles, she is a fellow of the American College of Surgeons and a member of the Society of Thoracic Surgeons. As a thoracic surgeon, Dr. Reeder cares for patients whose lungs have been affected by cancer, trauma, or pulmonary disease. She maintains her practice, Steward Medical Group Thoracic Surgery, at PrimaCARE in Fall River and Hawthorn Medical Associates in Dartmouth. For appointments or referrals for both locations, call 508-689-3783. A member of Steward Health Care, Saint Anne’s provides nationally recognized patient- and family-centered inpatient care and outpatient clinical services to patients from surrounding Massachusetts and Rhode Island communities. Recent recognition includes the Leapfrog Group’s “Straight A’s” for patient safety since 2012 and the 2017 Top Hospital award, and consecutive Women’s Choice Awards as one of America’s best hospitals for cancer care and orthopedic care. Saint Anne’s key services include Center for Orthopedic Excellence; robotic-assisted surgical capabilities for general surgery, joint replacement, and spine surgery; Saint Anne’s Hospital Regional Cancer Center; two ambulatory surgery centers; the Center for Pain Management; a spine center; and inpatient geriatric psychiatry services.